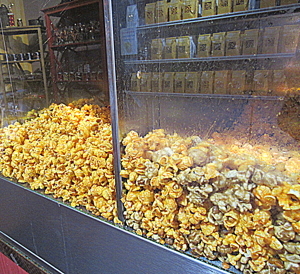 Mother Butter’s continues to turn out made-from-scratch popcorn, candies (including homemade fudge that is our favorite) and other confections that is a kid’s (and grown kid’s) dream come true. In fact, the initial design concept was inspired by the Macinack Island type of candy shoppes that children love to linger in. One of the biggest reasons we love visiting is because, drumroll please…nearly all of their offerings have gluten-free ingredients or options. This is critical for us; too often we shop for treats only to leave disappointed because we can’t sample or enjoy any of it. And all you have to do is ask: they know if something may contain gluten because they are the ones cooking the products daily. More reasons that Mother Butter’s needs to be in your life? 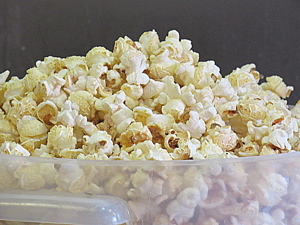 They use coconut oil for all of their popcorn (it keeps the popped corn crispy even after seasoning), locally-grown produce, and non-GMO ingredients. MB’s proudly uses only US-sourced everything, even the tins they fill. They use real cheese & real butter–good stuff goes in, great results happen. Quality and care are present in every bite of every product they make. Lucky for non-Chicagoans, Mother Butter’s ships worldwide so you don’t have to miss out. Some of the flavors of popcorn they have are better than I could have imagined: my favorite being Vanilla Pecan, and Bacon Cheddar a close second. The Vanilla Pecan is not shy with vanilla-caramel-covered pecans, making for an addicting combination in one bag. The Cocoa Caramel reminds me of Cocoa Pebbles cereal, which is a giant compliment in my home. 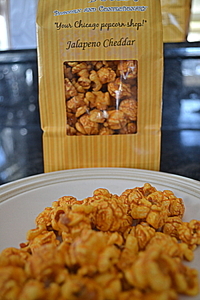 My daughter, the traditionalist, loves the cheese popcorn: it’s rich, almost creamy, with a nice bite of sharpness combined with the perfect amount of salt. She also loves the Truffle Salted, which she calls dibs on and will. not share. I love the heat of the Jalapeno Cheddar, though I wish it had more of that cheddar tang, so Bob and I created our own blend, which many others do, and are addicted to a 50/50 mix of Bacon Cheddar and Jalapeno Cheddar. Their tins make wonderful gifts, especially for those who live out of town and would appreciate such a thoughtful gift proudly representing Chicago culinary delight. Mother Butter’s can also make custom orders: small bags with personalized labels for showers, parties, as well as corporate logos for tins and arrangements. I highly recommend you visit if you can, but if you’re not nearby, check out their website and do yourself a favor: place an order. 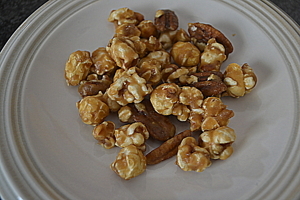 Once you try this, you’ll never want another version of popcorn again. 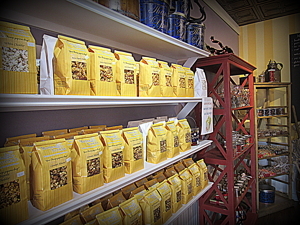 Mother Butter’s website and Facebook page are good places to begin your drooling and shopping. 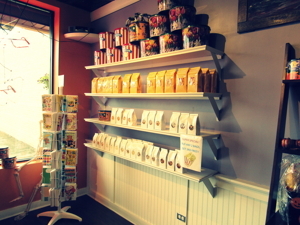 If you want to visit the shop, they are located at 3342 W. 95th Street, Evergreen Park, IL 60805. I always forget about Mother Butters! Thanks for posting!